I wasn’t sure what to expect when we decided to take Little Man to see the Arthur Christmas premiere in aid of Barnardos. After all, he only just turned two last month. Sitting still for ninety minutes is not top of his list of skills just yet! But Charlie and I talked about it and decided that we’d take him along, and if he was really restless we’d just leave early. Turns out we were worrying unnecessarily! 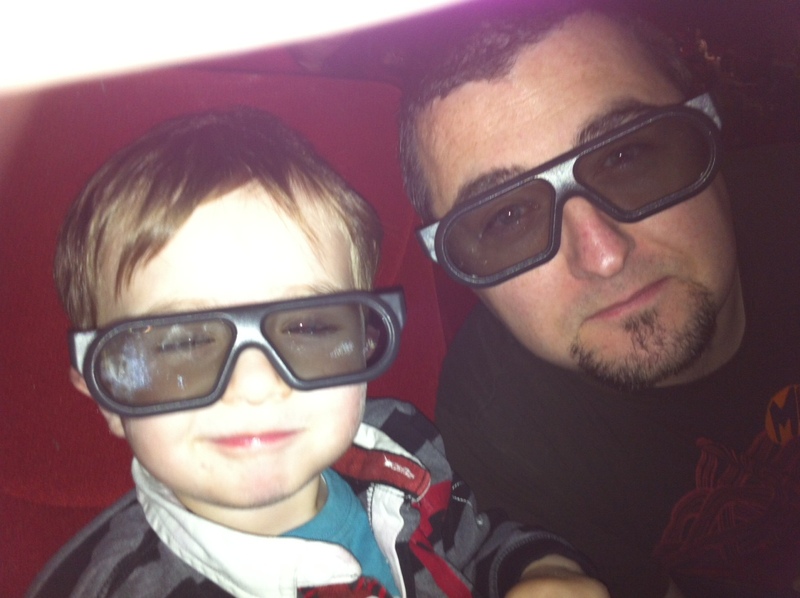 Apparently a first-time trip to the cinema was more than enough to keep Little Man entertained and amused. When we arrived at the Savoy, Santa was there to greet all of the girls and boys. Little Man was very excited to see him – right up to the moment we suggested he go over to say hi. No way! He turned his head into Daddy’s shoulder and refused to look up until we reassured him that he didn’t have to go over to Santa if he didn’t want to. We got to our seats and discovered that all of the booster seats were already taken – not surprising considering that the audience was made up of at least 50% children. Didn’t matter anyway, because the instant the movie started, Little Man insisted on sitting on Daddy’s lap, and he stayed there for the majority of the movie. 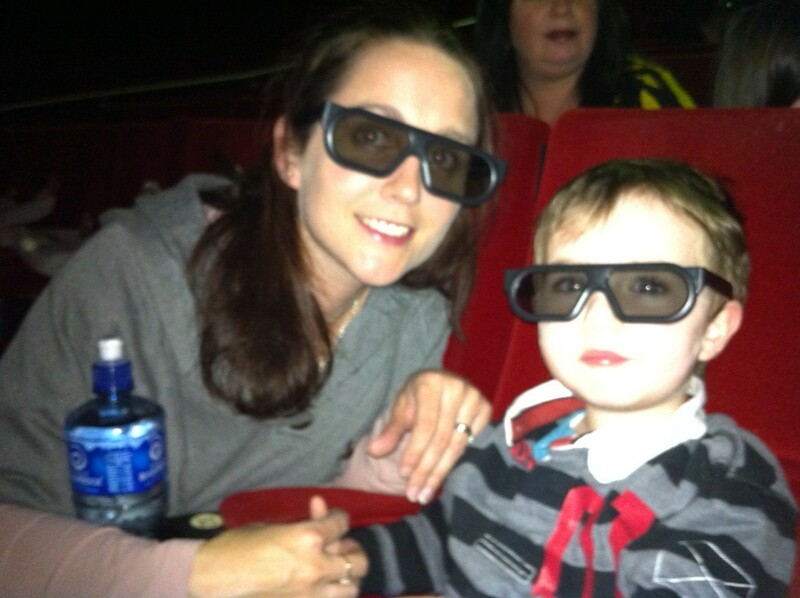 I was worried we’d have a problem getting him to keep the 3D glasses on for the duration of the film – so we told him that they were magic glasses and they would make the movie look extra special if he wore them. He loves anything “magic” at the moment, thanks to watching Ben and Holly’s Little Kingdom, which meant he was delighted to put his glasses on. The movie was great – all three of us enjoyed it. Little Man was enthralled by Santa, the elves, and the magical flying sleigh – not to mention the presents! Oh and the jellies – did I mention those? There was a bag of jellies and some other goodies on each of our seats for the premiere, so Little Man chomped his way through a whole bag of his own jellies, and even a few of Mammy and Daddy’s jellies as well during the movie. Is it any wonder he was awake until 9pm last night! All in all, it was a really enjoyable evening, and a lovely memory for our first family outing to the cinema. He looks so cute in his 3D glasses. Delighted ye all enjoyed your day out.